Does anyone else agree that tomatoes and basil were just meant for each other? Combine them and the taste just screams summer. Have you tried it? I love it! 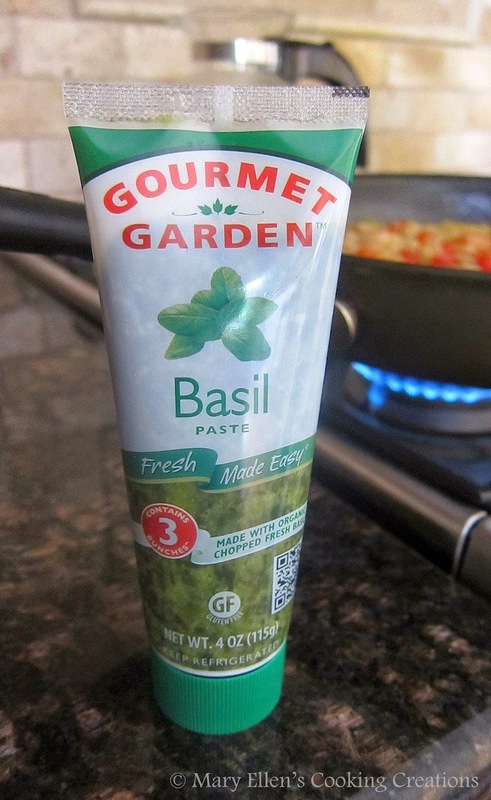 Each tube has the equivalent of 3 bunches of basil and is guaranteed fresh for 3 months when kept in the fridge. This tube of basil and a container of grape tomatoes in addition to my desire to eat a healthy lunch were my inspiration for this dish. I always turn to quinoa when I want something both healthy and filling. To really infuse the flavor of the basil through the dish, I cooked my quinoa in a tomato-basil broth. 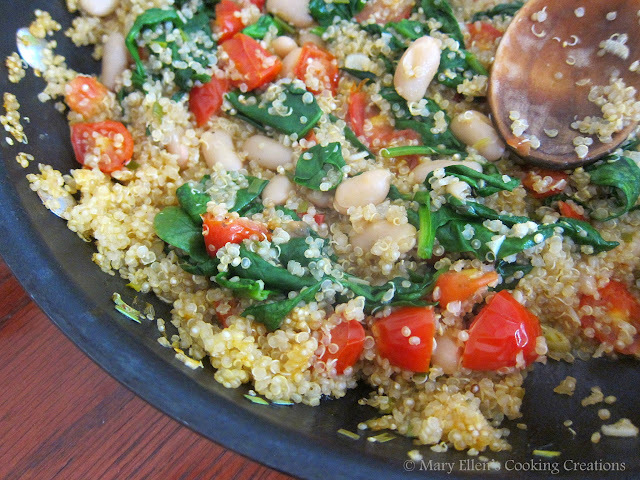 Timing is important on this - you want to start your quinoa and step 2 simultaneously. Once step 2 is done it will be time to add your quinoa to the tomato mixture. At the same time, heat olive oil in a large sauté pan over medium heat. Add garlic and onions; sauté 1 minute. Add tomatoes, white beans and basil; sauté 3-4 minutes. 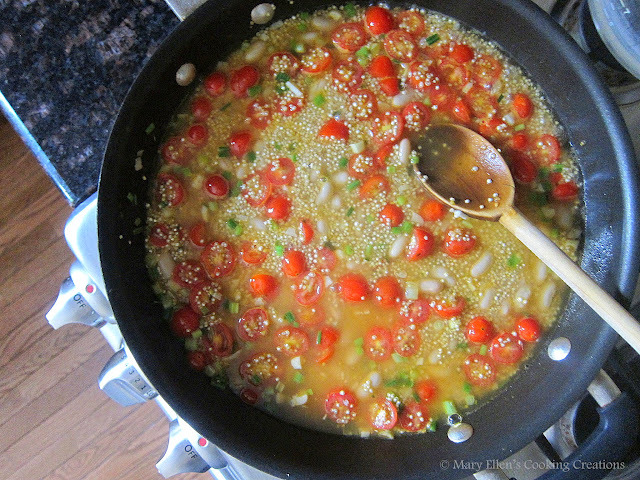 Pour the pot of quinoa and broth into the tomato mixture. Season with salt and pepper and let simmer until the quinoa has cooked through, about 10-12 minutes. You may need to add a bit more broth to finish cooking the quinoa if the broth is absorbing too quickly. Optional: stir in some freshly grated Parmesan cheese, or cheese of your choice. I never even thought of using those tubes, but I might now. That looks like a good quinoa "gateway" recipe - ie, one to make for someone who hasn't tried it before!